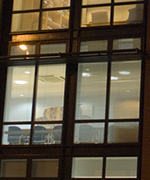 Byrom Street Chambers is a small and specialist set of Chambers, dedicated to the work of Leading and Senior Junior Counsel. We are consistently recognised for the quality of our advice and advocacy and recommended for our extensive expertise in high value and complex cases. We provide a highly individual and personalised service, with an emphasis on clients' needs, combined with a friendly and open approach to clerking. David Heaton QC - Dementia as a result of traumatic brain injury - Fact or Fiction?